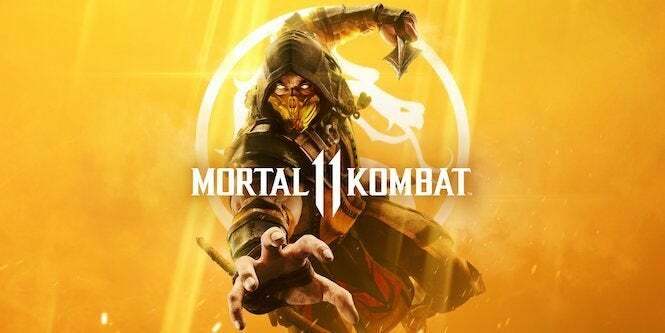 We’re just a few days away from the “official” reveal of Mortal Kombat 11, as WB Games and NetherRealm will be hosting a community event live from Los Angeles this Thursday. We’ve heard a few hints about what we’ll be getting at the event, but now creative director Ed Boon has laid out a roadmap that gives us an idea of what to expect. The event will kick off at 10:30 AM PDT on Thursday, January 17, and you’ll be able to watch it on the NetherRealm Twitch channel in case you’re not able to attend in person. While Boon didn’t spoil any other details than Scorpion and Raiden being in the game (based on what we saw from the trailer that debuted last month), he did lay out what content would be shown at the event, based on the tweet below. As you can see, the event will be home to some “exclusive reveals,” including a possible first peek at what will be included with the Kombat Pass, which will be sold alongside the game. In addition, we’ll get first details on the story, which reportedly have something to do with time travel since we saw a peek at a character with an hourglass in the trailer. We’ll also learn about characters (kharacters?) in the game, as we’ll see who will join Scorpion and Raiden in the fight. Word has it that some power players will be filling the roles this time around, as WWE Raw women’s champion Ronda Rousey will reportedly play Sonya Blade. We’ll see who shows up, ready for a fight. Those that will be in attendance will also get hands-on time with the game, though it’s unknown if we’ll be seeing a certain version or if they’ll all be available. Fingers crossed that we’ll get an idea of how the Nintendo Switch version performs. We’ll also get details on the MK Kollective, which will serve as the community for the forthcoming release. Based on the official page, this includes people like Instagram artist Bosslogic, cosplayer Alicia Marie, and several others. More than likely, they’ll be talking about the game in their own special way, and we can’t wait to see what they have planned. There’s also more content coming at the event, though Boon didn’t elaborate. We’ve only got a few more days to wait though, so we’ll bring you all the information as soon as it’s available! Are you excited for the forthcoming Mortal Kombat? Let me know on Twitter at @TheDCD!